As a beacon of liberty in the annals of American history, Philadelphia is one of the most beloved cities in the U.S. Largely unrivaled when it comes to colonial legacy and historic architecture, Philadelphia is a charming urban sprawl for tourists and natives alike. 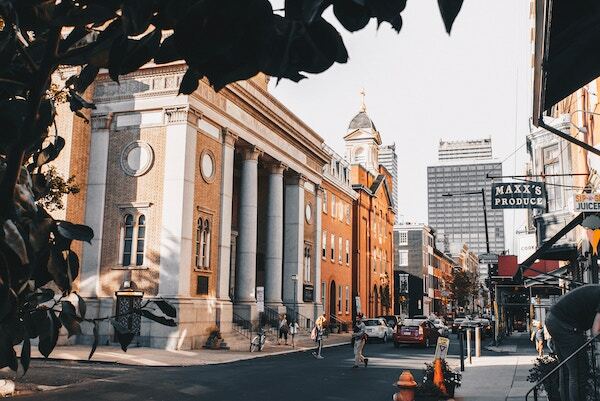 Known colloquially as Philly, the city has done a wonderful job of marrying the old and new as far as cultural attractions and activities go. While wandering around the City of Brotherly Love, we invite you to temporarily store your bags with Bounce for a modest daily rate. Do you live and work in Philly? Are you seeking a storage solution so you won’t be held down by your briefcase, gym bag, or backpack as you hop from one activity to the next? Simply book with Bounce for bag storage in Philadelphia. Are you headed to Philadelphia for work or leisure? Maybe your Airbnb check-in isn’t ready for a couple of hours, or perhaps you have some time before making your way to the airport and want to maximize your time exploring the city. No matter the case, you can avoid planning your day around your stuff by counting on Bounce for luggage storage in Philadelphia. We completely understand the inconveniences that physical baggage can cause in everyday life, which is why we created Bounce. We’re proud to partner with local businesses around Philadelphia so you can drop off your things and traverse the city with ease. We can assure you that storing your bags in Philadelphia is a breeze with Bounce. Lincoln Financial Field is home to the Philadelphia Eagles football team. Big purses, backpacks, and other large items aren’t permitted into the stadium, so we suggest booking short-term bag storage with Bounce to avoid delays and denied entry.